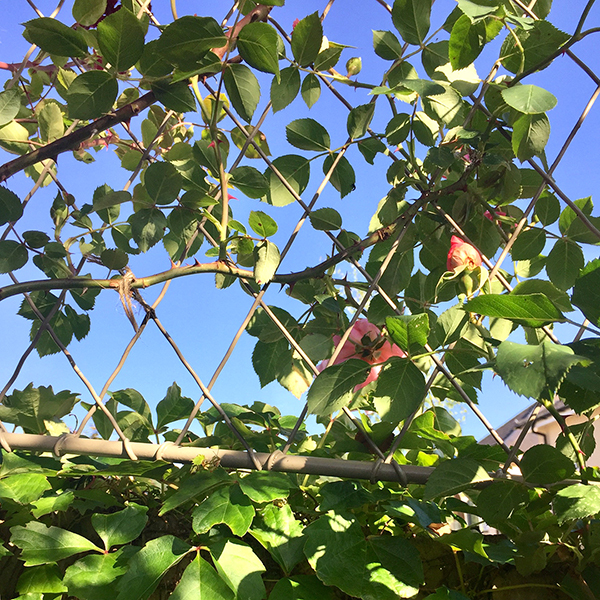 Wall trellis panels provide a stylish, yet unobtrusive support for your climbing plants and offer all the long-lasting benefits of zinc galvanized steel. 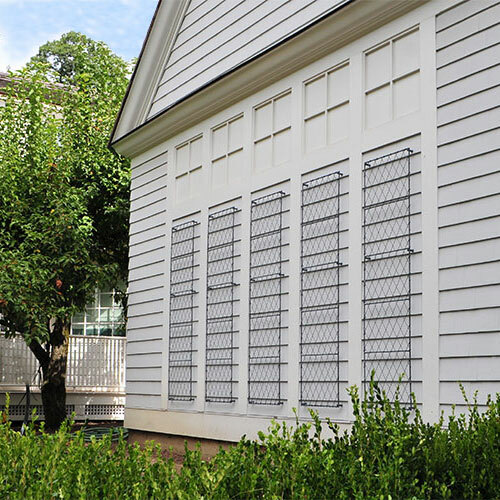 Our lattice trellis can be used to soften and decorate garden walls or enhance the facade of your property. Unlike wooden trellis which needs treating against rot and has to be replaced regularly, our light but strong wall trellis panels provide an elegant solution that will last a very long time. Our trellis panels are designed to work individually or together as a scheme. Each wall panel is held away from the wall by tubular steel spacers welded discreetly to each frame, allowing the free growth of twining plants. 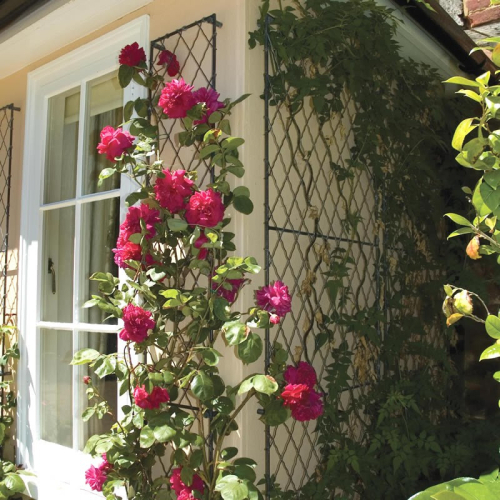 Choose from our range of trellis panels to create your own scheme. TR002, TR203, TR003, TR102, TR003, TR204, TR002. An arrangement of wirework wall trellis panels. Choose from our range of standard wall trellis panels shown below. We’ve designed a range of Straight and Profiled trellis panels that can work together to form interesting patterns against a plain house or garden wall. Alternatively, any wall trellis panels can be made to measure or shaped to suit your requirements. 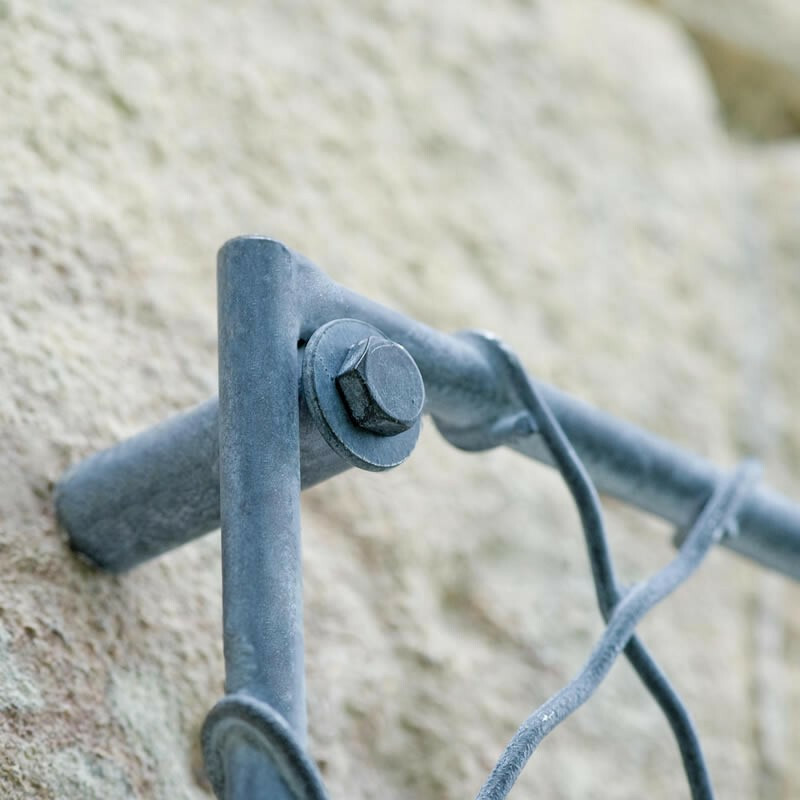 We never use any plastic components with our trellis panels; each tubular spacer is 1”/25mm long and is welded to the inside corners of the trellis frame to keep the trellis away from the wall. I collected the trellis yesterday and I am over the moon, they’re super quality. I put them up last night and they look wonderful. Each garden setting is different, so as long as you ensure that there’s enough room for the wall trellis panels to sit against the wall, measuring is fairly straightforward. Each panel is designed to sit next to the adjacent one, so that the top, intermediate or bottom horizontal framework line up with each other. We can help you work out how much space you may need or whether you’ll need a specially made panel to fit with your arrangement – we can make special heights and widths to fit most scenarios – just get in touch. The wall trellis panels are very straightforward to fit. 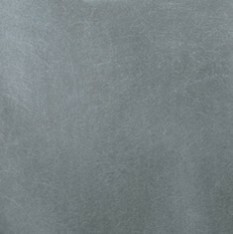 We supply the M6 coachscrews and wallplugs that will fix into most stone or brick walls. Check the size of the wallplug for the correct drill diameter. If fixing the trellis to a timber frame, drill a smaller pilot hole for the coachscrews and don’t use the wallplugs as they’re not needed. Ensure that you have a tape measure and spirit level to mark the correct trellis positions before you begin drilling. If in any doubt, always consult a professional.